These cards here are the latest birthday cards I have made. The first one is to a 9-year-old boy and the second one to a 32-year-old man. The first one has Distress inks in the background and some water splatters over that. I don't remember which exact colors I used but there is blue, green, yellow and brown. 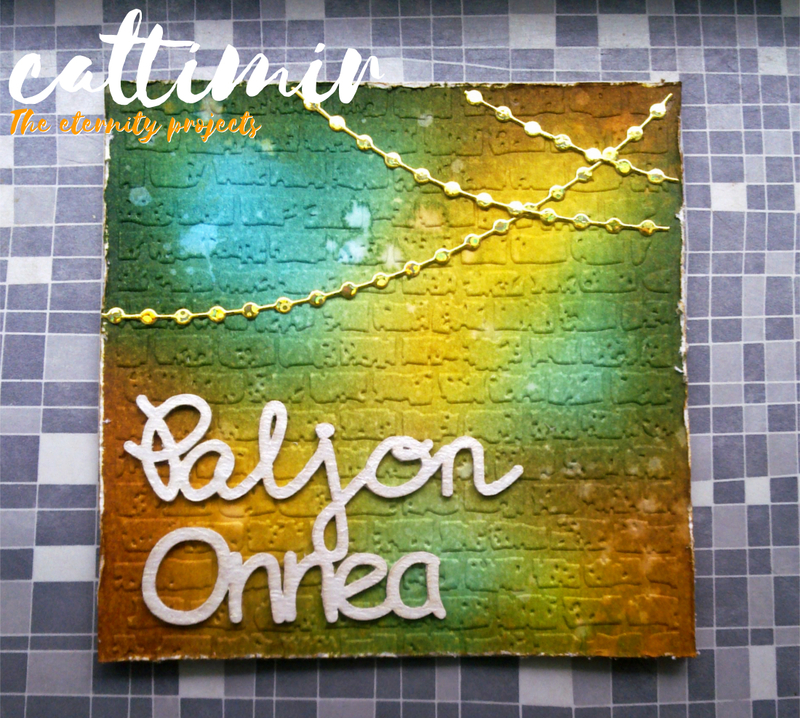 I distressed the edges of the paper after I had embossed it with a brick wall embossing folder. I think it was one of the Taylored expressions folders. The sentiment is a chipboard which I painted white and the garlands were die cut from a gold colored holographic cardboard using a die from a Marianne design set. For the second card I used some blue shaded Distress inks and a Lindy's spray to create the background. After it was dry I splattered some white acrylic paint for stars. The moon and the sentiment are from the Altenew's The moon stamp set. 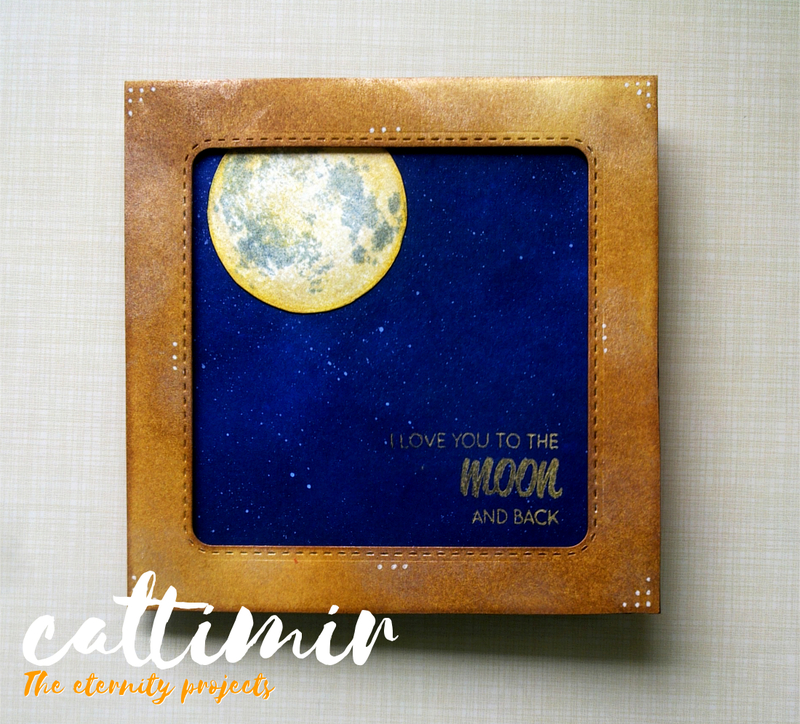 The moon was stamped with the Distress inks and the sentiment with the Tsukineko Encore metallic gold ink. I don't have a positioning platform for stamping so they look a bit faint. The frame looks a bit like leather but it's paper. It was die cut with a Marianne design basic shape die (a square with rounded corners) and I used a brown Distress ink for coloring. Then I gave it finishing touches with the Finnabair's Opal magic wax, green brocade, and made the dots with a white gel pen.